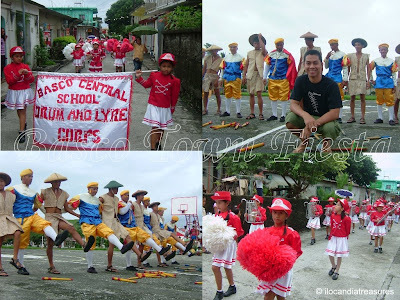 Laji is the oldest traditional music of the Ivatans in the islands of Batanes. The laji are ancient lyrical songs that are supposed to be sung when they are merry or just finished work. There are only few people nowadays who could sing this song. I was lucky to find young girls in the sitio of Itbud in the town of Uyugan to sing for me this Ivatan folk song. They were actually members of the local choir. After hearing the mass of Fr. Maliglig, they let me listen to the song with the accompaniment of a guitar. Its so admirable that this young people are familiar with the song. This song was featured in the movie Kadin. There should be preservation efforts to make this song live in the hearts of people one generation to the next. 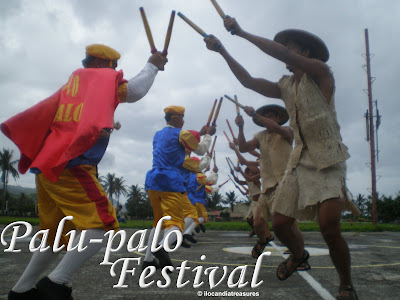 The other popular folk song is the Kalusan which many are familiar to it. It is being sung during work. The kanta is another folk song of the Ivatans. Where in the world can you find a coffee shop that is not attended by anyone? Its only in the islands of Batanes where you can make and drink your coffee and take snacks without a cashier or sales clerk. This is called the Honesty Coffee Shop where you can get what you want to buy and just list the products you have taken with its corresponding price on a notepad and drop your bill on the box provided. Its simply honesty which rules on this shop. I heard from the people around and confirmed from the proprietress Elena Gabilo who was so busy to attend to her business of providing snacks at the pier. She has yet to go farming everyday. So, she had no choice but just to leave her items at one corner and let the interested leave the payment. It’s her dedication to the people to provide snacks and a hot drink who travels out to the sea. Wow, this honesty coffee shop is truly amazing. Its only found in the Philippines! It was raining the entire week in Ilocos and I was apprehensive that my flight to Basco on August 8, 2008 might be cancelled due to bad weather. However, it showed a good morning weather in Metro Manila when we flew to Basco via Asian Spirit. I was so lucky to get a great deal of airfare at P2,480.00 roundtrip, since a regular roundtrip airfare would costs you P10,000-12,000. It was actually an anniversary promo fare. We boarded a 50-seater De Havilland Dash-7 propeller aircraft which we flew at 5:30AM. It was a two hour flight. It was a very nice flying experience since the crew was accommodating and I also had the chance to get a photo from the cockpit with the pilots. I met people from the airport to the plane that includes none other than Governor Castillejos. From the aerial view, we saw the exciting rolling green hills and pristine beaches. When we touched down smoothly at the tarmac of the Basco Airport, there was a sudden heavy downpour which limited us to get around. 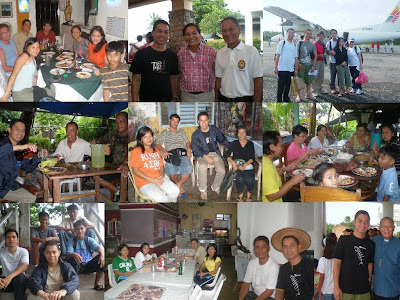 I stayed at Shanedell’s Inn for a rate of P350 per night accommodation. I met some guests such as Karen, Keno, Jammie, Alvin, Lanie, Gerald whom we got to hang out with and thru the kindness of locals Ed, Carlos who guided us. On my first day, I dropped by at the house of my co-passenger Auntie Rosario Ugali. Her family cooked for me an Ivatan dish, supas. It was fried yellow rice mixed with bits of pork and tinted with the yellow ginger. Mirada, is another dish offered to me consisted of flat snails. 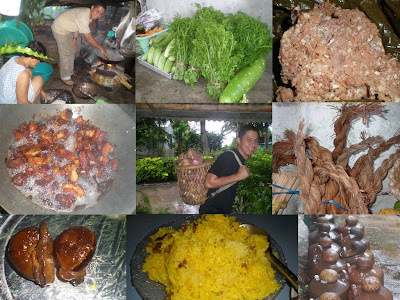 Ubud, is made from the grated trunk or root bulb of a banana tree cooked in coconut milk added with some meat tidbits. I attended the wake of her brother-in-law which I learned that anybody who dies got to wait for a couple of days and the corpse placed in a bed temporarily since casket is not readily available. Its made to order and people help each other to make one. In the far flung areas, they just place the cadaver in a box and not even embalmed due to absence of formalin. There is a bayanihan spirit among the peoples in times of grief. I had the chance to jam over some Matador brandy with the Ipula, people who migrated to the island. We sang our heart’s out with the accompaniment of a guitar. On my second day, it was drizzling. I went to the Saint Dominic Church and later at the Saint Dominic College (SDC) where I met a group of students from Ifugao who went to the island to work as house helpers at the same time study. When I saw a jeepney, flying over, I just hopped in and I went to Ivana to see the old Ivatan houses. I saw the house of Dacay and interviewed the old lady. It rained so hard again and I saw Mr. Ronnie Agoto, a former provincial board member who I met at the airport. He invited me to their house while they were busy cooking for his grandson’s birthday. First name is the term they used to refer to food served a day before the occasion and offered to some important persons, while balance is the leftover food served a day after. Lunes is another Ivatan food made of pork fried in its own fat. They just add salt to it and put in a jar soaked with its oil and this lasts for a long time. Wild ferns abound in the island which is made into green salad by just blanching it. It was so amazing that every person I see on the street would smile and greet me. Wow, you rarely see this nowadays. I visited the Basco lighthouse in the afternoon with my dorm mates. We trekked from downtown to uphill. It was breathtaking to see the entire Basco on one side and the China Sea on the other side. 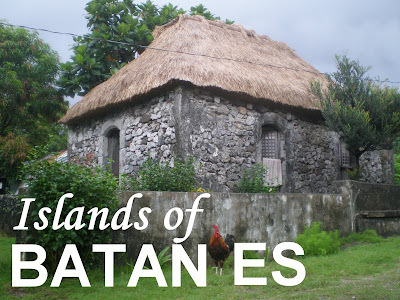 On my third day, I joined my dorm mates to Itbud, Uyugan where we saw more of the old and sturdy Ivatan houses. It is a quaint village. We met some of the locals. We peeped in to the kitchens which are so smoky when they cook. Garlic and onions are hung inside for long time preservation. The traditional kitchen uses fire woods. We climbed up the grotto and enjoyed the uphill scenery. We attended the mass celebrated by Fr. Roy Maliglig at their chapel. I personally asked and heard some young girls sing Laji the old Ivatan song. I left Itbud to visit the Honesty Coffeeshop in Ivana. I was able to talk to the owner. Its her dedication to help the people at the port eversince by offerring them a cup of coffee. She was busy attending the farm so she just left her goods and asked people to drop their payments at the box. I had luch with Mr. Agoto for his grandson’s birthday. I have seen the Spanish old bridge and the Ivana and Mahatao churches which were built in18th century. It was so timely that when I reached Basco in the afternoon I chanced upon the fiesta parade and watched the palu-palo dance and other cultural performances at the plaza. 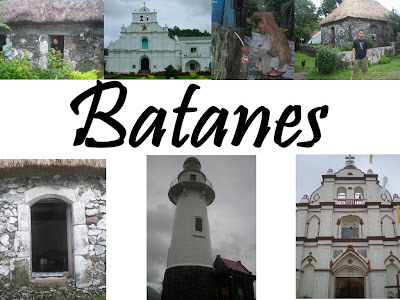 It was indeed a fantastic experience of Batanes! Dios Mamajes. 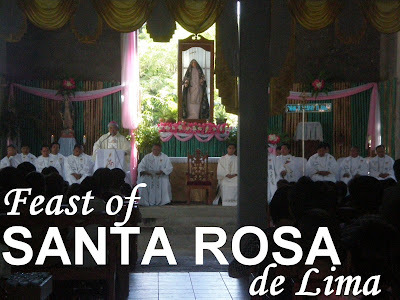 Saint Rose of Lima, Peru is the patron saint of the Parish of Santa Rosa, Sarrat, Ilocos Norte. She was born on April 20, 1586 and died at the age of 31 on August 24, 1617. She became the first Catholic saint of the Americas. Her real name is Isabel Flores de Oliva with her nickname Rosa since her face transformed into a rose when she was a baby as claimed by a servant. She was so upset to have been beautiful and that she even disfigured her face with pepper and lye. She hurt herself to help others. Rose helped the sick and hungry in her community and even brought them to her house to take care of them. Her martyrdom continued for 11 years without relaxation. She was beatified by Pope Clement IX in 1667 and canonized by Pope Clement X in 1671. She is the patroness of Lima, Peru, Latin America, the Philippines, Santa Rosa, California, and Sittard in the Netherlands. Patronage for embroiderers, gardeners, people ridiculed for their piety, and against vanity. We attended the celebration in Sarrat last Saturday, August 23 upon the invitation of Mrs Tessie Dimagiba to all the Tawid Choir members. Its also the ninth year anniversary of her son Fr. Papus Dimagiba to the priesthood. Together with Bishop Utleg and other priests, they celebrated a mass for the feast. Today marks another significant day in the history of China. This is the holding of the 2008 Summer Olympics. They coincided the Olympic Games with the date of triple numbers 888 since the Chinese belief this is a lucky combination of numbers. The date, August 08, 2008 only passes once in a lifetime. At 8pm tonight, a grandiose opening ceremony will be held at the National Stadium. Eric Ang, an Ilocano shooter who hails from Laoag City, is competing in this year’s Olympics in the men’s division of trap shooting. He won bronze medal in the same event in the 2005 Southeast Asian Games. Eric has earned a wildcard berth in the Beijing Olympics in December according to the Philippine Sports Commission. The Philippine nation has high hopes that the entire delegation to Beijing would bring home the gold. I was able to observe Beijing’s status last year when I attended a leadership program. Everything was under construction and renovation. I have seen the National Stadium still in its skeleton form but after a year it was an amazing structure of a bird’s nest form and the latter became its popular term. Water cube is similarly overwhelming to see from the photo releases. Wow, its truly a big preparation from the Chinese government. To date this is the highly budgeted Olympic ever in the history.